Home > Blog > A Breakthrough day for Zola! 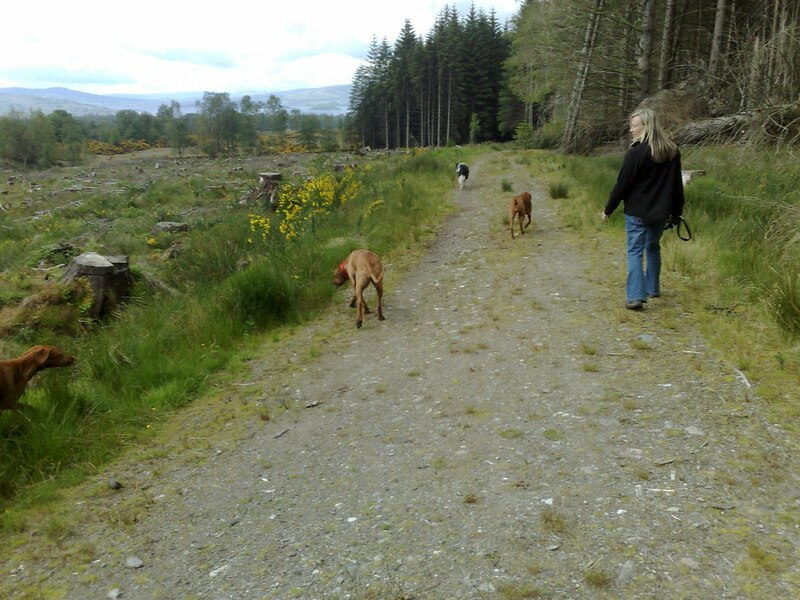 A great walk today in Drymen with Holly and Ivy, Murphy, Skye and Zola. Zola has been a little unsure until today, then SUCCESS – she decided that she was going to enjoy her walk. She was off lead for the entire walk, and stayed and interacted with the other pack members the whole time. Ivy and Zola had lots of fun running about…lots of play bows going on! I am so pleased . Welcome to my pack Zola, where we always have fun!